The Berkeley Indonesian Student Association (BISA) is a non-profit organization, founded in 1985, that aims to raise the cultural awareness of Indonesia in the University of California, Berkeley community as well as throughout the San Francisco Bay Area. Throughout over thirty years of its existence, BISA has been contributing to the community through its annual cultural events aimed to promote the Indonesian culture beyond the Indonesian community itself. We are honored to present you the third Nusantara: East Meets West, that will be held on April 15th, 2017 at the West Crescent Circle of the University of California, Berkeley. 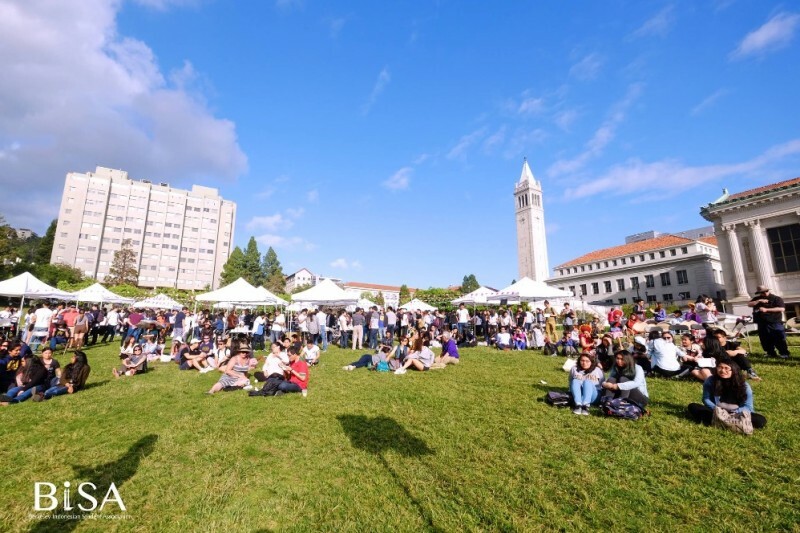 This annual event aims to promote awareness of Indonesia’s rich and diverse culture to the UC Berkeley community and people in the Bay Area through traditional dances and performances, food and games. It also serves as an outlet to unite and strengthen the bonds between Indonesians from different generation and background that reside in the Bay Area. Through this, we hope that our vision of uniting Indonesians in the Bay Area and our love for Indonesian heritage could be spread across people who attend the event.